One of my favourite lessons to teach when I was working as a primary school teacher. Children are naturally very curious about the world around them, and science explains it all. It’s all the best subject for getting really hands on and practical with. Unfortunately, with less and less time available in school timetables, there’s less time to get really stuck it, and explore concepts to the depth that they need. That’s where the Little House of Science comes in. 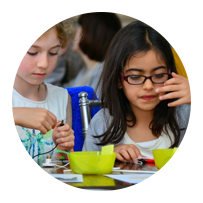 Founded in 2014 by three women in London, the vision of the company is to create a safe and fun environment for children to get involved in project based, hands on learning. You can view some class videos via their YouTube channel. 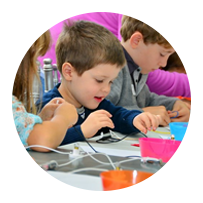 With great STEM based term topics and holiday workshops, such as volcanoes, DNA, lessons on the brain, trees, robotics, children will be able to learn, explore and have fun! Classes and workshops are available for the very littlest 6 month-olds, and go right up to age 11. You can find out a little bit more about the classes below. This class focuses on exploring new ideas, shapes, colours, textures and the sounds of nature using the senses. This session helps children to start their journey with numbers and build their confidence with quantities and numbers to 10 and beyond. 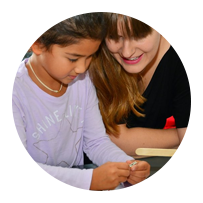 This class helps children to learn about life, earth, physical and engineering topics, with experiments and take home projects and parental&children notes for each weekly topic. This nurtures and builds on from what is learnt at school, and provides a deeper understanding of topics. Classes are based in London, although if you live elsewhere, there are other ways to get involved, such as having a party with them, or even starting your own franchise with them! I really, really love this idea, and looking at the prices, they’re really reasonable if you’re wanting to really develop a love of science in your children – they’d be perfect for any parents who home educate, or just for any children who love learning about the world around them!